Internet radio service Pandora is heavily dependent on Apple hardware, with about 40 percent of listeners accessing the service through an Apple device. And yet the launch of Apple's competing iTunes Radio last September has not stopped Pandora from continuing to grow. Details on Pandora, iTunes Radio and other Internet music services were revealed in a ruling from U.S. District Judge Denise Cote this week, who sided with Pandora in a royalty dispute with the record industry. With Cote's decision, Pandora will be able to keep its royalty rate of 1.85 percent paid to the American Society of Composers, Authors and Publishers. Music publishers sought to increase Pandora's rate to 3 percent, but Cote ruled that the record industry's demands were not "reasonable." Attempts to compare the rates paid by Pandora vs. iTunes Radio were also deemed unfair by Cote, who noted that Apple utilizes iTunes Radio to promote sales of its own hardware, as well as the sale of songs through the iTunes Store, neither of which Pandora employs as part of its business model. Cote's decision reveals that Apple negotiated with record labels based on an industry-wide royalty rate of 10 percent, though the actual share paid to ASCAP is redacted from the public documents. Through its agreements, Apple pays a share of iTunes Radio advertising revenue to publishers, but the industry does not take any additional cuts of iTunes Match subscriptions, nor the sale of music tracks sold through the iTunes Store. The trial revealed that Pandora unsurprisingly views iTunes Radio as a "major competitor," and that the Sept. 2013 launch of Apple's streaming radio service had a measurable but "relatively small" affect on Pandora. "After a short period of time that impact appeared to decline," Cote wrote. 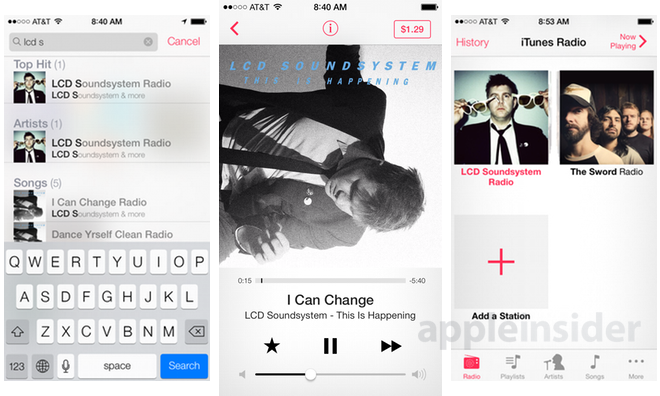 "Pandora has continued to grow despite the presence of iTunes Radio. "This may be due to several reasons, including unique characteristics of Pandora's service, the availability of a Pandora app on Apple devices, and the fact that iTunes Radio is only available on Apple devices." Still, Apple device users make up a huge portion of Pandora listeners, with the trial revealing that about 40 percent of Pandora's users are accessing the service through Apple hardware. 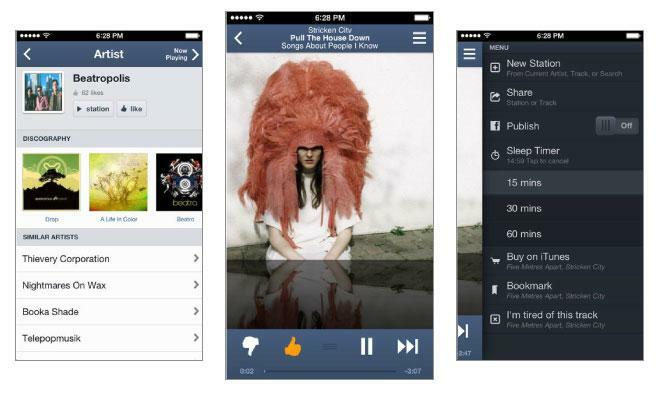 Pandora applications are available for iPhone, iPad, and Mac. Data released earlier this month showed that Apple's iTunes Radio is already more popular than on-demand music service Spotify, though Pandora remains far and away the market leader. iTunes Match finished in third place with 8 percent of Internet radio listeners, behind iHeartRadio's 9 percent, and Pandora's 31 percent share.